The Event was a Hit! Manager of Procurement, Cell Signaling Technology Inc.
Boston dining and corporate catering company, Café Services, exceeds their clients expectations hosting a large event in Brighton Massachusetts. The Foundation for Seacoast Health gets the customized foodservice they needed with Café Services. A large electric power industry client in New York state is extremely happy with their new corporate food management service provider, Café Services. 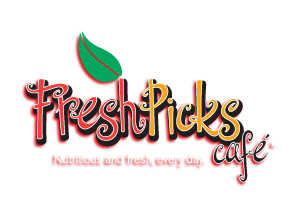 Corporations that want to offer a variety of delicious fresh food options to employees at any time of day are taking advantage of micro markets - mini non-staffed versions of their corporate cafeterias. Café Services, Inc., a leading dining management services company specializing in corporate, educational and senior living environments, announce its commitment to adopting policies to improved conditions of broiler chicken welfare by 2024 or sooner. Most corporate food service subsidies are budget driven, using smart product pricing to offset the expense of the subsidy. Some companies with budget-based subsidized food service operations will offer a combination of complimentary (free coffee and beverages, for example) and competitively priced food items. In our 23 years as a corporate food services company, we've seen and responded to a lot of RFPs (requests for proposals). Although it takes a good deal of focus, writing RFPs is a vital part of vendor evaluation. Return on Investment, cost savings and healthy value priced menu choices are just a few of the benefits to consider when selecting a corporate cafeteria vendor or food service management company. The 'farm-to-fork' dining trend has been going strong in U.S. households and restaurants for a while. But now it's taking root at Café Services corporate dining locations across the eastern U.S., including New England and the mid-Atlantic. Healthy eaters are healthy employees. They're also more productive employees - a connection that hasn't been lost on the 70% of US employers that offer some kind of employee wellness program - many of them Café Services corporate dining services customers. To the forward-looking inventors and doers at Amazon Robotics, a Café Services, Massachusetts corporate food service company, inspiration can strike at any time. So can that twinge in the stomach or dip in energy that says it's time for a quick bite or hydration break. Just because a company is old doesn't mean it's old fashioned. Just look at the stylish, new modern café and kitchen at the Brockton, Mass. location of W.B. Mason, one of the country's largest office products dealers with a history that stretches back to 1898. For corporate dining management company, Café Services, looking at annual food trends at the start of the year is more than just a crystal ball gazing exercise. It is part of what we do to help our customers reach a variety of culinary, employee wellness and sustainability goals. Tis the season when Café Services corporate food service management clients in Connecticut and across the northeast show their appreciation for employees and celebrate the year's accomplishments by throwing a holiday party. October is Domestic Violence Awareness Month. Verizon, a Café Services Massachusetts corporate food service management customer, is going purple and rallying employees, supporters and customers to champion the cause. It's been two months. Yet employees at Element Financial are still raving about the annual summer picnic in July, catered by Café Services, a corporate food service management provider to Maryland businesses and locations across the mid-Atlantic and New England. Eat Them In Season: 5 Reasons To Feast on Local Tomatoes At Café Services Business Food Service Management Locations. How do you know it's August in the northeast at a Café Services business food service management location? Just look at the tomatoes. Atop burgers and deli sandwiches, at the fresh salad bar, and in soups, dressings, sauces, quesadillas and seafood'sweet, juicy, locally-grown tomatoes add luscious color and flavor to every food station, every day. For Cell Signaling Technology and Eastern Bank, Farm-to-Table Dining is Business As Usual at Café Services. For Massachusetts companies like Cell Signaling Technology (CST) and Eastern Bank, farm-to-table dining is more than just a concept or weekly special at the cafeteria. It’s an integral part of day-to-day business. Few experiences say “June” like sinking your teeth into a juicy, sweet strawberry—whether it’s a pick-your-own or part of a delicious meal at a Café Services business dining management location. With the ocean just a stone’s throw away from many Café Services locations, it’s not a surprise that business diners have a healthy appetite for seafood. But how healthy is it for the oceans? A company that grows as steadily as Café Services needs room to expand. So on February 27, the corporate food service management company serving greater New England and the mid-Atlantic, moved from its long-time headquarters in Londonderry, New Hampshire to a new, more expansive and modern office space in nearby Manchester, New Hampshire. On March 2, Café Services took over corporate food service operations at Invista, a subsidiary of Koch Industries and maker of leading global brands including LYCRA, ® COOLMAX® and STAINMASTER. ® About 300 business people and engineers work from the company’s Wilmington, Delaware location. The North American headquarters of BIC Consumer Products in Shelton, Connecticut has long made employee health and wellness a focus. But when healthcare costs took a big jump last year, the company made it a mission; and enlisted Café Services to help rally employees behind the cause. Serving the nonprofits at the Community Campus in Portsmouth, New Hampshire, is not for just any corporate food service company. So when the nonprofit community started looking for a new provider in fall 2014, it chose Café Services’ for its unique experience serving both school-based and corporate diners. On November 10, Café Services staged the grand opening of a new, full service corporate dining room at Kiva Systems, a wholly owned subsidiary of Amazon.com in North Reading, Massachusetts. As competition for professional talent heats up, businesses increasingly promote corporate dining as a perk to attract educated, hard-working employees with discriminating tastes about where and what they eat. Café Services, a corporate food services company serving Massachusetts and the greater northeast, served lunch to about 800 Schneider Electric employees and state and local dignitaries on September 10 to celebrate the opening of the firm’s new, global research and development center. Some surveys have shown that up to one in every six Americans go hungry on a daily basis. Food pantries are overwhelmed with the demands of trying to feed increasing numbers of hungry families. Today’s consumers have a desire to purchase and consume foods that are healthy and are free of pesticides and chemical enhancers. However, current food labeling designations can make the selection of healthy foods a very confusing process. The USDA is the regulating organization for most food labeling and control the standards for the designations of "USDA 100% Organic", "USDA Organic", and "Made with Organic..  The success of Café Services is closely linked to the satisfaction of its growing roster of loyal customers. At least that’s how Brian Stone sees it. Founder and CEO of the corporate food services company serving Massachusetts and the greater northeast, Brian is featured in a recent food-management.com article showing how firms like Café Services win over customers on quality, service and value. The atmosphere on the grounds of General Electric’s Plainville, Connecticut plant felt like a carnival on Saturday evening, July 12—where hundreds dined on a hearty pasta dinner from Café Services, a corporate food services company serving Massachusetts and the greater northeast. The decision to retain a full-time cafeteria service provider is a significant one. It impacts your corporate budget, morale, and culture. It can impact your employees' health and nutritional well-being. In facing this change, a well-thought out and systematic approach to choosing the right long-term partner can be integral to how well the new program is developed, implemented and received. The Eat Local food movement has been rapidly growing at an even much faster pace than the Organic movement. Many local farmers practice organic techniques while providing consumers with both fresh and healthy food options. When Schneider-Electric opened its gleaming new research and development (R&D) center earlier this year, a top priority was designing a corporate dining program from scratch to reflect the company’s global reputation for innovation. In today's fast paced business environment, your business demands your complete attention. 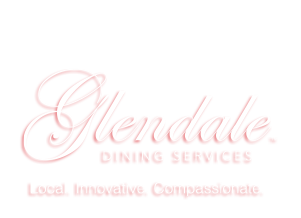 It makes good business and economic sense to outsource your company's cafeteria management to a qualified company that specializes in that service. At Café Services, Earth Day has long been an opportunity to encourage food choices that not only taste good; but also are healthy and safe for the environment. This year, the corporate food service company serving Massachusetts is focusing its Earth Day activities offshore and promoting sustainable seafood practices. A company cafeteria is a major benefit for a company's employees. As in any business endeavor, the marketing of products and services is an important key to the company's success. It is no different with promoting a cafeteria to the company's employees. “Enjoy the taste of eating right” is the theme of National Nutrition Month 2014, a nutrition awareness campaign promoted annually in March by the Academy of Nutrition and Dietetics. The café at Axcelis is a popular place since Café Services, a corporate dining company serving Massachusetts and the greater northeast, gave the technology firm’s dining program a fresh new look and appeal. The New Year is a popular time to kick off healthy eating habits. The office is a great place to start, if you’re lucky enough to be a Café Services customer. The management team at Café Services, a corporate dining company serving Massachusetts and the greater northeast, sends a warm “thank you” to the many associates who participated in the company-wide Toys for Tots drive this month. This month, people all over the country are preparing to celebrate their good fortunes over a Thanksgiving feast. Café Services, a corporate food services company serving Massachusetts, is sharing in the celebration. When the fall chill sets in, Café Services chefs get busy finding creative and tasteful ways to make the most of the autumn harvest. Café Services diners at Gemline in Lawrence, MA are big fans of cannolis—a traditional Sicilian dessert pastry made by filling a flaky, tube-shaped crust with rich, creamy cheese like mascarpone or ricotta. Café Services lured almost three-dozen seafood-craving employees to its second annual lobster and crab boil—almost triple the number from its inaugural event last summer. At the Arbella Insurance corporate food service café near Boston, Massachusetts, Café Services Chef/Manager Jay always offers a gluten-free alternative to the daily special. Café Services diners at BIC will soon be able to browse for fresh, local produce on their lunch hour from nearby Beardsley Organic Farm. Café Services Cashless Food Program Makes Corporate Dining Convenient and Popular at New Hampshire Manufacturing Firm. Ever since corporate dining company Café Services began a cashless food service program at Cobham in 2010, the cafeteria at the military systems manufacturer has been a popular, bustling place. When California-based Autodesk opened an East Coast office for its architecture, engineering and construction division (AEC), one of the first objectives was building a site with complete, interior and exterior LEED certification. Cafe' Services Celebrates Summer with Fresh Strawberries! Cafe' Services Celebrates Native New England Strawberries throughout the month of June!